These days, the Blockhouse Bay Boat Club is purely a venue for hire (but no parties, weddings, liquor…). Set above the water, at a gorgeous spot looking out to the Manukau Harbour. 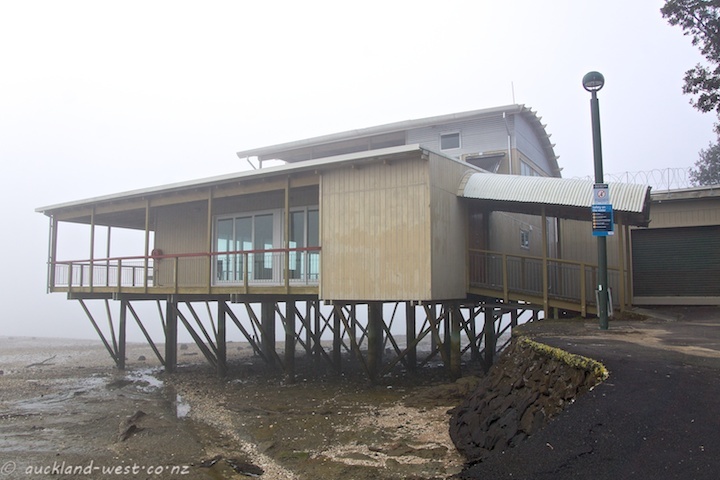 Seen here at low tide and in the mist. Just imagine the view! The mist really works wonders with the place!